Few works of literature are as universally beloved as Alice's Adventures in Wonderland. Now, in this spellbinding historical novel, we meet the young girl whose bright spirit sent her on an unforgettable trip down the rabbit holeand the grown woman whose story is no less enthralling. The questions and discussion topics that follow are intended to enhance your reading of Melanie Benjamin's Alice I Have Been. While Alice's sister lies dying, Mama asks Alice "Why couldn't it be you? You've never brought me anything but pain, while she has brought me nothing but joy." What kind of effect do you think this has on Alice for the rest of her life? Did it affect the way Alice thought of her own children? The photos Lewis Carroll (or the Rev. Charles Lutwidge Dodgson) took of Alice Liddell capture a look that can be described as wise beyond her yearswhat do you think is behind that look? 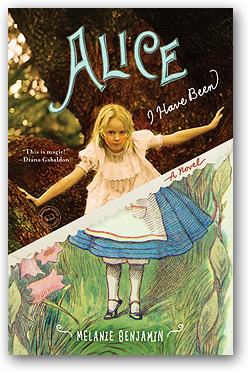 Before reading Benjamin's novel, had you already read Alice's Adventures in Wonderland? If so, does it make you want to read it again? Why or why not?